Mapúa University held its 13th Math Wizard Competition last January 21 to 23, 2019 in its Intramuros campus. The competition was headed by Mapúa’s Department of Mathematics with a total of 92 student participants from various schools and departments of the University. Earl John Salamat, a first year Civil Engineering student, earned the top spot in this year’s Math Wizard Competition. 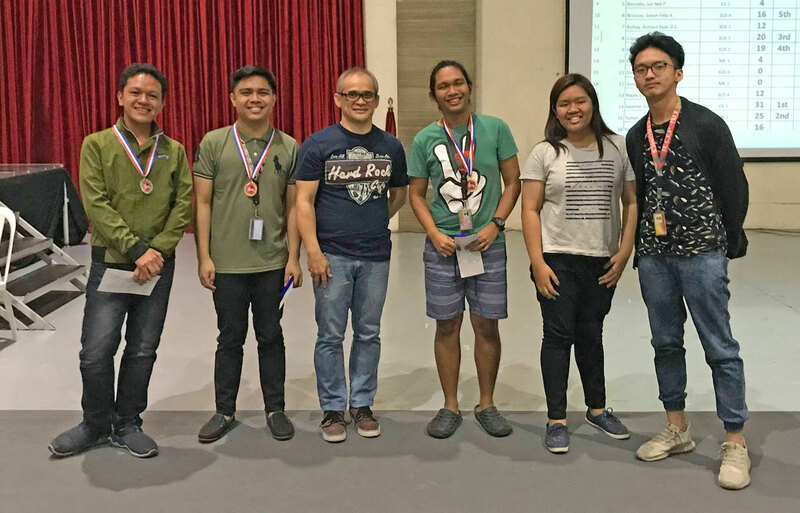 Jian Matthew Tumali, a first year Mechanical Engineering student, landed the second spot followed by June Lorenz Capin, in third place, a first year Electronics Engineering student. Also completing the top five winners are Kyle Reifel Del Villar, in fourth place, a first year Electronics Engineering student and Simon Felix Briones, in fifth place, a fourth year Electronics Engineering student. Started in 2007, the search for Mapúa Math wizards is an annual competition opened to all students which aims to promote excellence in Mathematics through a series of quizzes. It is also an avenue for the University to choose its official representatives for numerous Mathematics contests in the country. The competition covers topics in Algebra, Trigonometry, Solid Mensuration, Analytic Geometry, Differential Calculus, Integral Calculus, and Probability and Statistics.